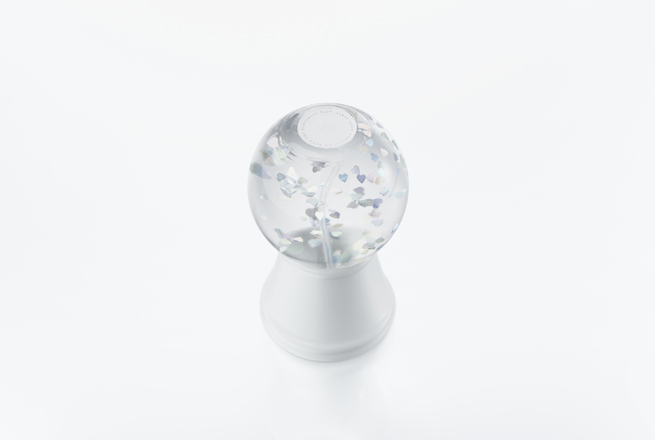 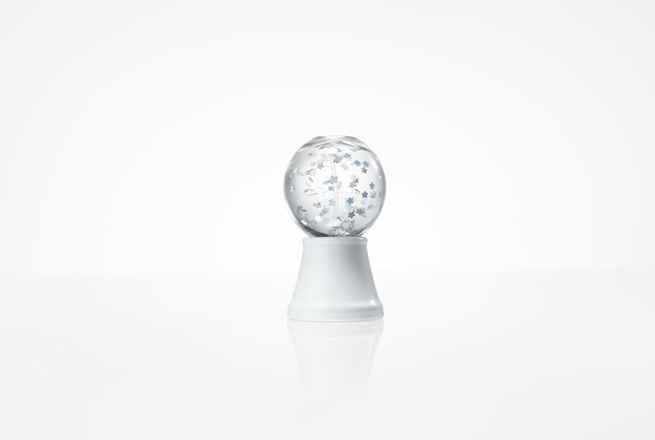 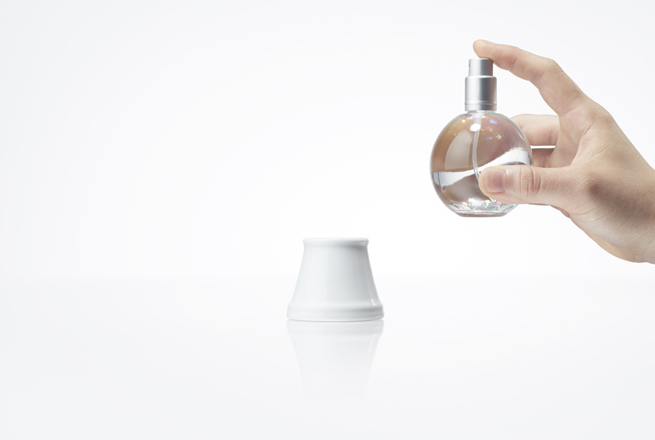 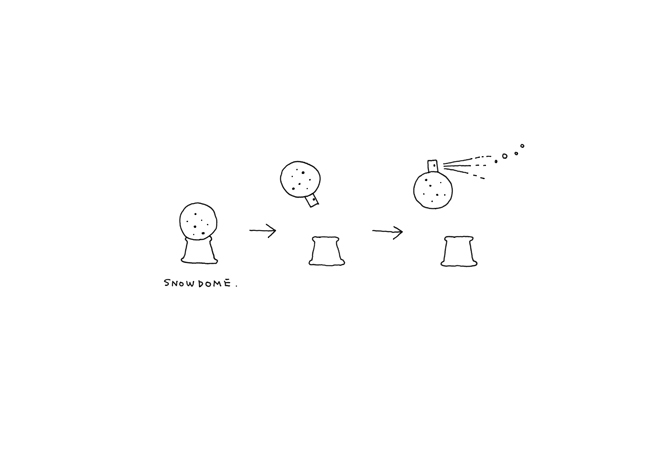 A spray-type room fragrance in the shape of a snow dome. 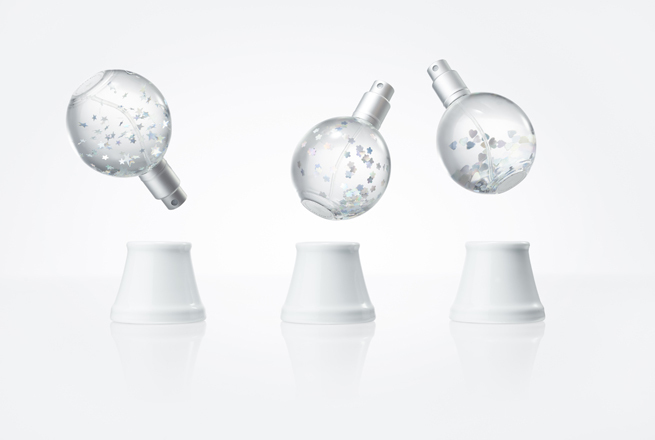 The dome can be lifted from its base, which doubles as its cap, revealing the pump mechanism. 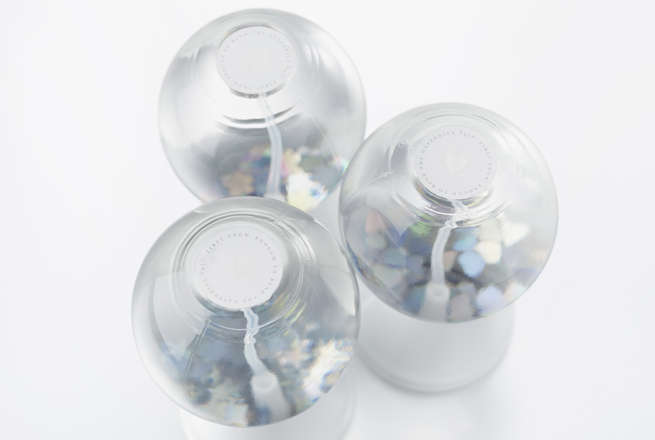 Each dome is filled with flowers, leaves and other tiny forms in polyester film indicating its fragrance. 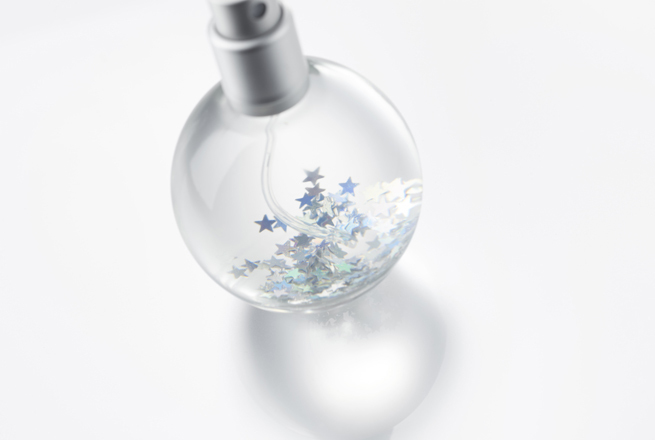 A design that disappears beautifully into the room when not in use. 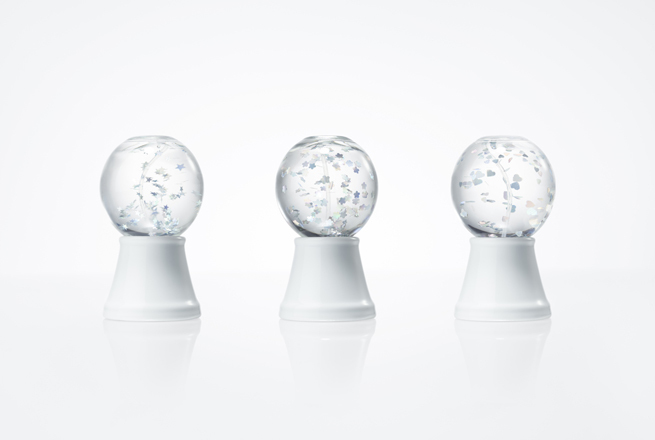 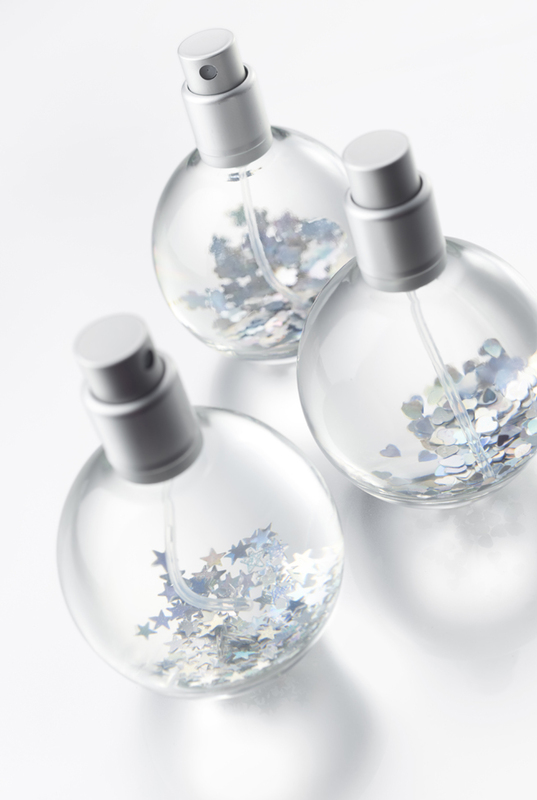 snow dome comes in three fragrances, all 50ml.